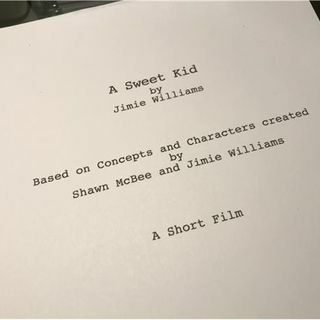 Taking a break from pop culture's greatest mis-fires, the gang turns to their own oeuvre, picking a script written by Jimie, based on an idea by him and Shawn. It centers on the kind of likable drug dealer that idiot screenwriters think exist. Smart, artistic, really concerned with the well-being of their customers... you know, REALISM. This drug dealer's world is turned upside-down when he meets a mysterious woman at a coffee shop (not a Starbucks, though). This is a relatively ... See More quick read, covered in just two episodes. So enjoy making fun of the first half and we'll see you next week for part two! And, hey, don't forget to subscribe!